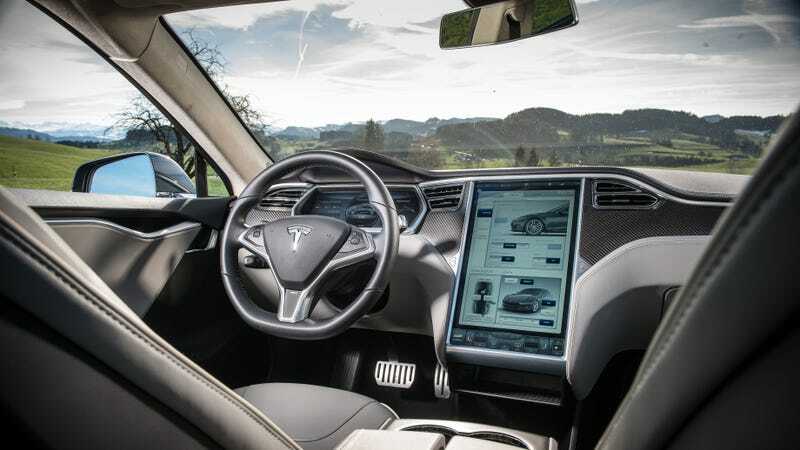 The National Highway Traffic Safety Administration can’t provide details on how it reached a conclusion that Tesla vehicle crashes dropped 40 percent after the automaker installed Autosteer—which keeps the car centered within a lane—into its semi-autonomous Autopilot system. Does Tesla&apos;s Autosteer Really Cut Crashes By 40 Percent? In January, NHTSA closed its investigation into a 2016 fatal crash involving a Tesla Model S that crashed into a truck while operating in Autopilot. NHTSA didn’t order Tesla to issue a recall, essentially vindicating Autopilot as an effective, safe driving feature. But exactly how NHTSA reached that conclusion has been a mystery. It’s also the subject of an ongoing lawsuit between the agency and a group of researchers aiming to obtain NHTSA’s data so it can try to replicate the findings. That may be an impossible task. Additional records about NHTSA’s analysis of confidential Tesla production information contain “confidential business information that is so inextricably intertwined with the other information in the analysis that we are unable to segregate out the Tesla data that was granted confidential information,” NTHSA said. A spokesperson for NHTSA didn’t immediately respond to a request for comment. A Tesla spokesperson declined to comment. NHTSA’s investigation involved a review of data from model year 2014-2016 Model S and Model X vehicles equipped with Autopilot. The 40 percent claim is significant because most of the functions that make up the Autopilot suite—forward collision warning, automatic emergency braking, adaptive cruise control—are not unusual in newer cars on the road today. Autosteer, however, is relatively unique to Tesla. That’s what makes singling out Autosteer as the source of a 40 percent drop so curious. Forward collision warning and automatic emergency braking were introduced just months before the introduction of Autosteer in October 2015. A previous IIHS study shows that both the collision warning and auto emergency braking can deliver a similar reduction in crashes.